The Brazilian literary market is looking forward to the last chapter of the 60th Jabuti Award. 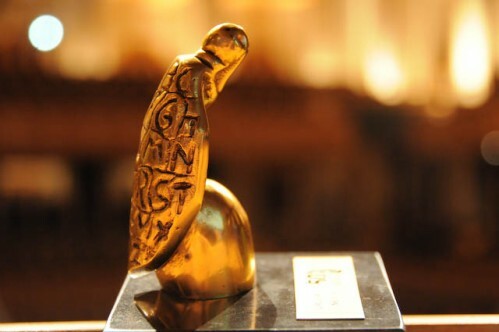 Organized by the Brazilian Book Chamber (CBL), the biggest award of Brazilian literature will be handed this Thursday (8th) to the winners indicated in the 18 categories of the competition. Among them, the seven international publishing houses of the axis “Innovation – Brazilian Book Published Abroad”: Anacaona Éditions, Editions Buchet/Chastel, Éditions Sarbacane, Kafka Kitap, Penguin Books USA, Restless Books and Tilbury House Publishers. “The category is part of an internationalization work of the Brazilian publishing market and it is gratifying for us to honor all the companies that recognize the potential of Brazilian literature and take our stories to readers around the world”, said Luiz Alvaro Salles Aguiar de Menezes, International Affairs Manager of the Brazilian Book Chamber and Manager of Brazilian Publishers – an industry project to promote exports of Brazilian editorial content. It was created through a partnership between the Brazilian Book Chamber (CBL) and the Brazilian Trade and Investment Promotion Agency (Apex-Brasil). The French publishing house Anacaona Éditions competes for the award for the international publication of “O livreiro do alemão” (The bookseller of the German), written by Otávio Júnior and originally published by Panda Books. The book presents reports of situations lived by the author himself in the Complexo do Alemão, a neighborhood formed by a group of communities located in Rio de Janeiro and provides proof that literature has a transformative power in the lives of children and young people. Kafka Kitap was selected for the award for the publication of “Diário da Queda” (Diary of the Fall), the first volume of a trilogy produced by Michel Laub. The novel joints the trajectory of the protagonist, his father and his grandfather, who is a survivor of Auschwitz and spent years writing a secret and bizarre diary. They are three generations, whose history seems to be only one and with memories that come together in a fragmented way, like a list in which the facts carry in themselves both innocence and brutality. The second volume of the trilogy produced by Michel was also included in the award. Published by Editions Buchet/Chastel, “A maçã envenenada” (The Poisoned Apple) tells the story of an eighteen-year-old student and guitarist of a rock band, who must decide whether to flee the barracks where he was performing military service to watch the show of the American group Nirvana. The presentation took place in 1993 at the Morumbi stadium in São Paulo. The choice can cause the character to be arrested. In the subtle interweaving of its themes, which evoke the particularities of universes as opposed as the world of music and a barracks, this is a book about passion: for a person, for an idol, for an idea and for a time. Éditions Sarbacane published the French edition of “Quando Tudo Começou: Bruna Vieira em Quadrinhos” (When It All Started: Bruna Vieira in comics), which tells the story of Bruna Vieira, a Brazilian influencer who has 1.9 million followers in instagram and more than 1.3 million followers in youtube. Bruna created a blog called Depois dos Quinze (After Fifteen) that stood out in the internet and brings contents about fashion, books, series, and behavior, among others. Penguin Books USA competes for the award with the publication of “Mãos de Cavalo” (The Shape of Bones), written by Daniel Galera. Originally released by Companhia das Letras, the novel presents the protagonist in three phases of his life: at ten years of age, at fifteen and already adult, experiencing a marital crisis. With sensitivity and pungency, from these reports Daniel builds a beautiful story about loss and guilt in the formation of an identity. Through the publishing of the book “Fim” (The End), by Fernanda Torres, the American publishing house Restless Books became finalist of the category. The work brings the story of five friends dealing with death and their own frustrations. Closing the list of nominees to Jabuti, Tilbury House Publishers competes with the publication of “O Barco dos Sonhos” (The Boat of Dreams), by Rogério Coelho. The children’s book presents a charming narrative where reality and dreams blend together. The story portrays the magic that can come from a blank sheet, from an old man’s hands, from a boy’s hands, and the mysterious correspondence between them. The axis “Inovação – Livro Brasileiro Publicado No Exterior” (Innovation – Brazilian Book Published Abroad) comprises any genres released abroad (in first edition) of Brazilian born, naturalized or foreign authors who have permanent residency in Brazil. In 2017, the big winner of this category was the Penguin Random House UK edition of “Um Copo de Cólera” (A Cup of Rage) by the author Raduan Nassar. In second place was “Enigmas da Primavera” (Enigmas of Spring) published by Dalkey Archive Press publishing house, written by João Almino, and, in third, “O Irmão Alemão” (My German Brother) by Chico Buarque, published by Penguin Random House UK, of the Dutch company De Bezige Bij. Learn more in the article published by the President of the Brazilian Book Chamber, Luís Antonio Torelli.